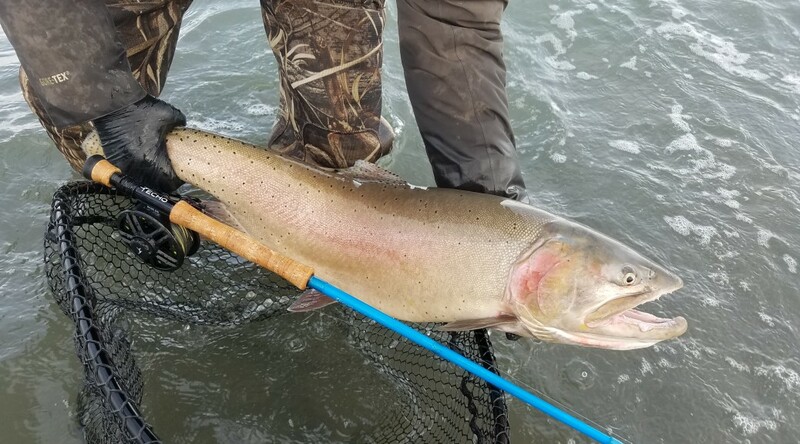 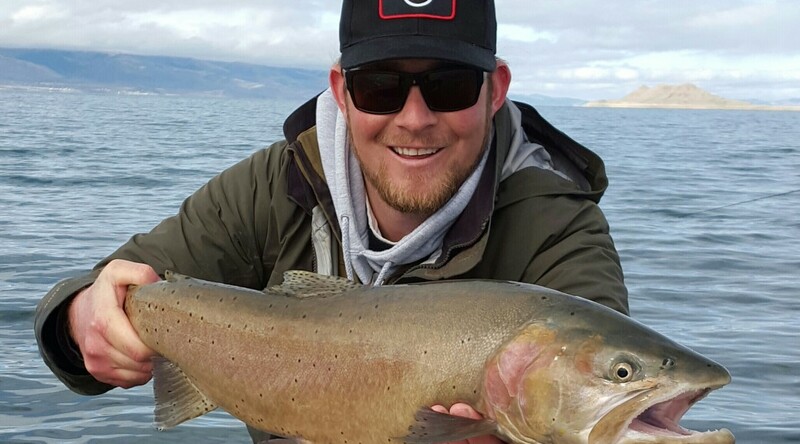 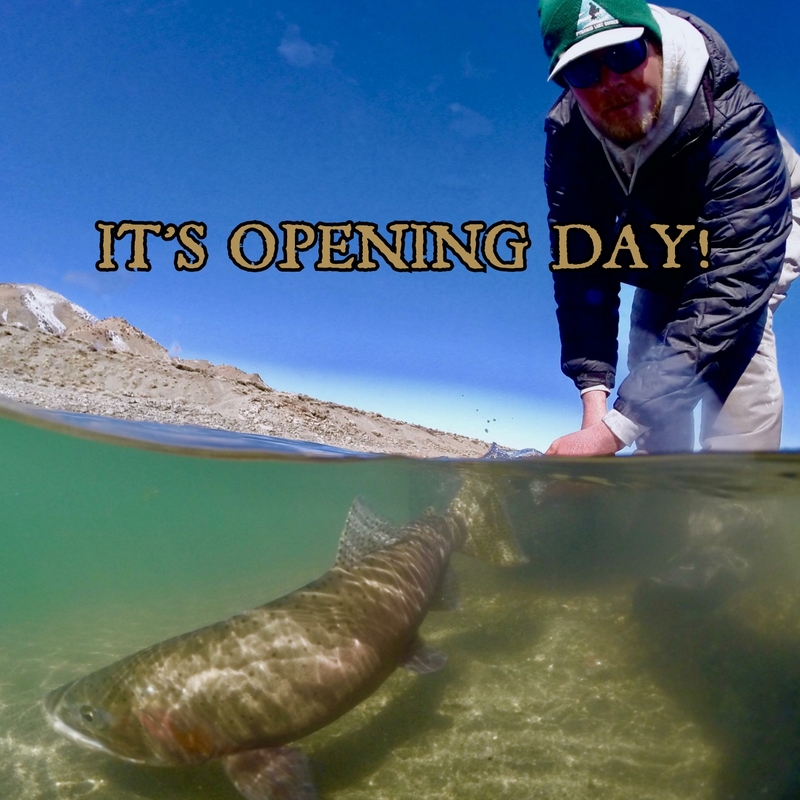 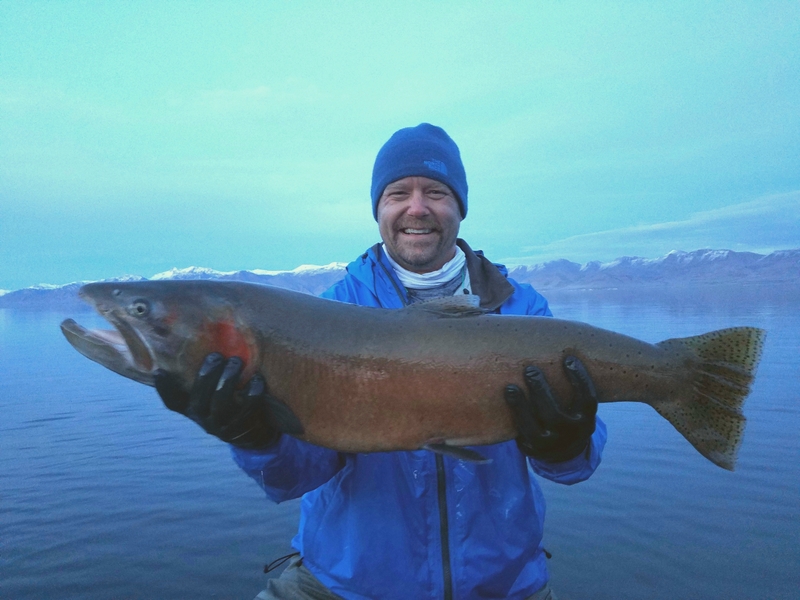 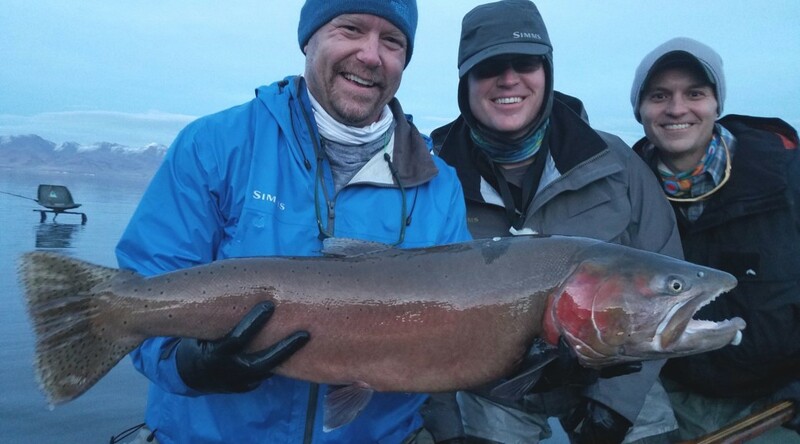 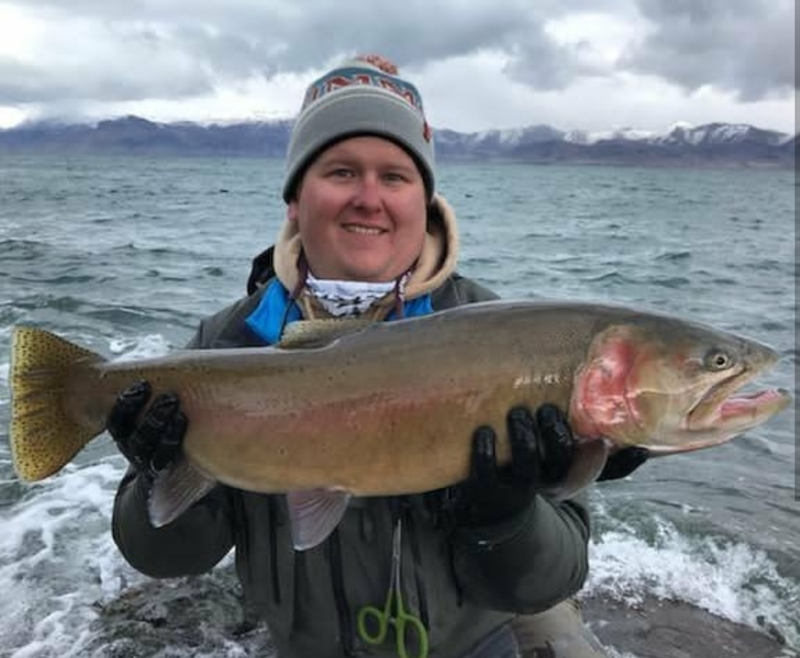 Check out this great story about the natural spawn of the Lahontan Cutthroat (LCT). 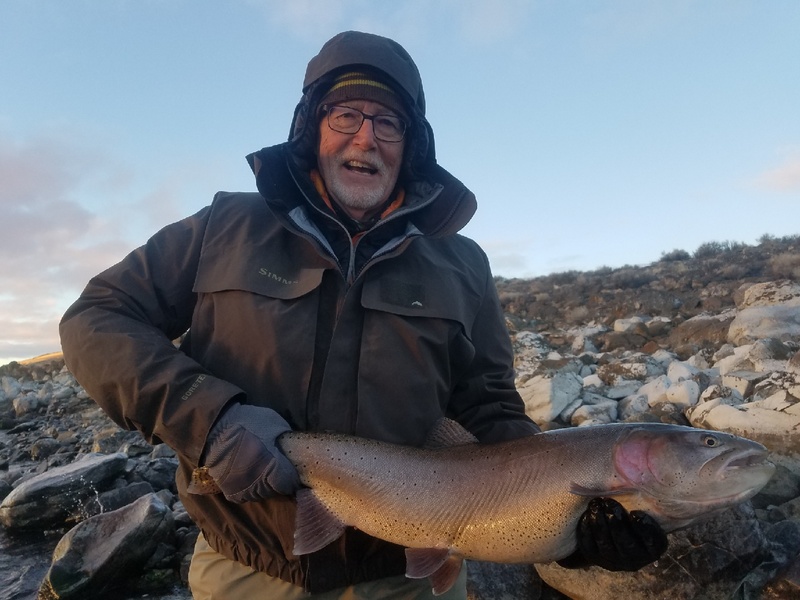 The first sign of natural spawning after the reintroduction of the once thought to be extinct species was in 2014 and the progression continues. 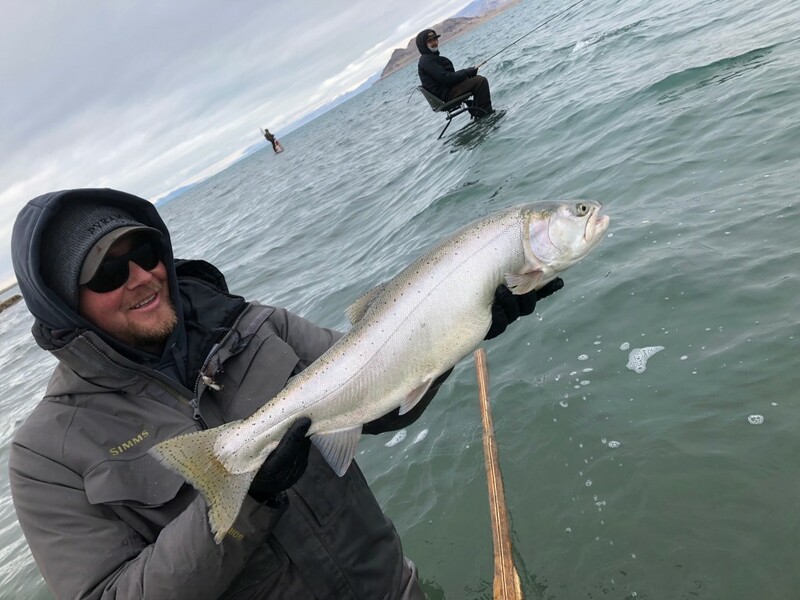 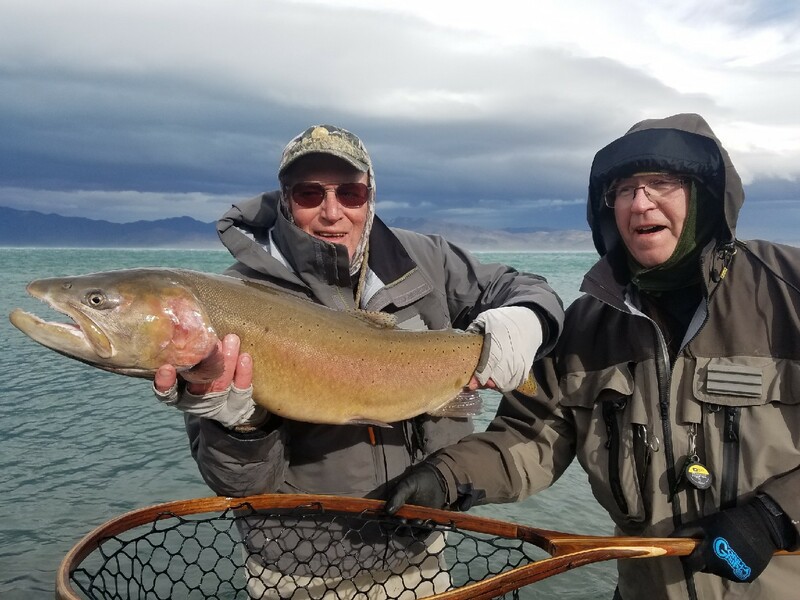 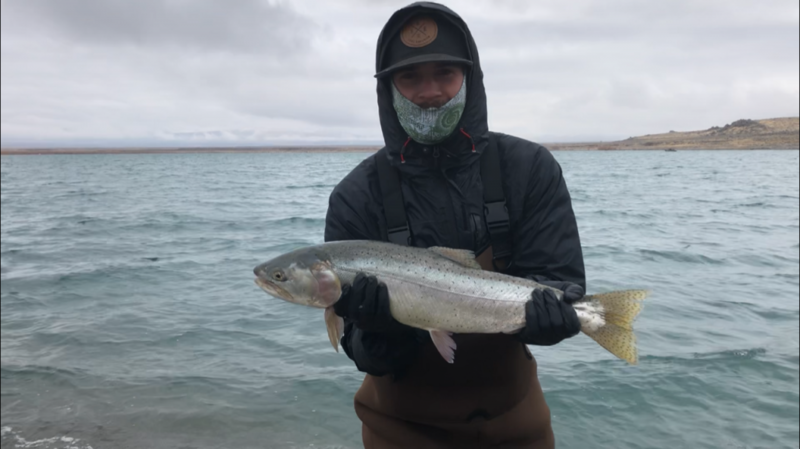 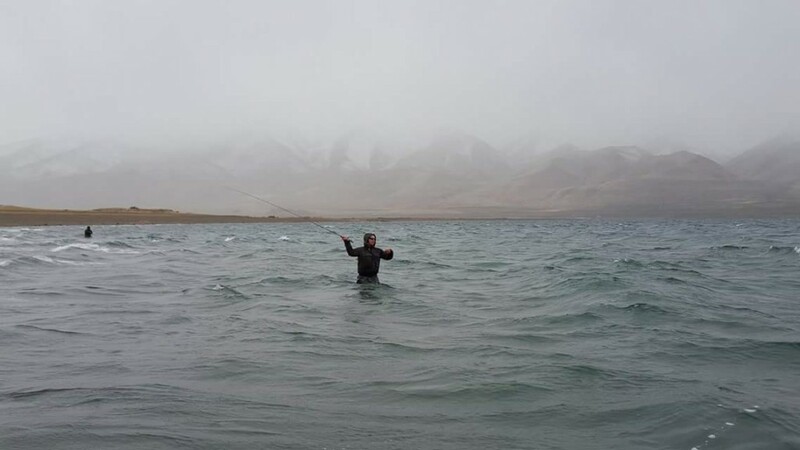 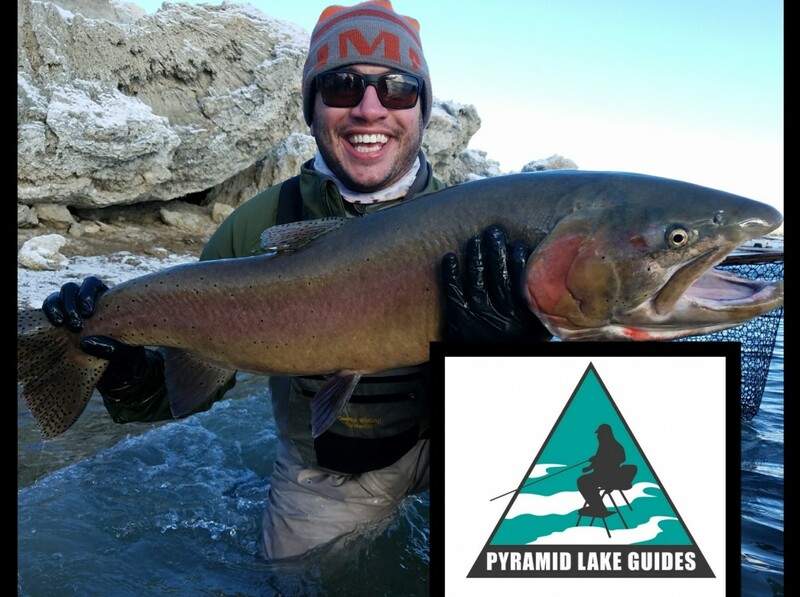 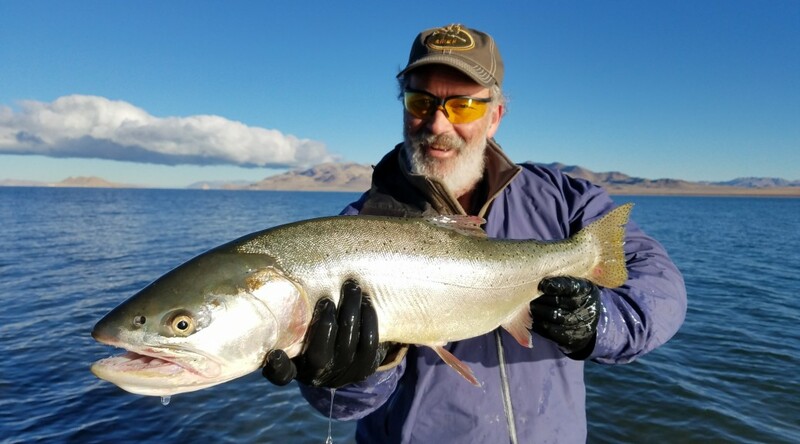 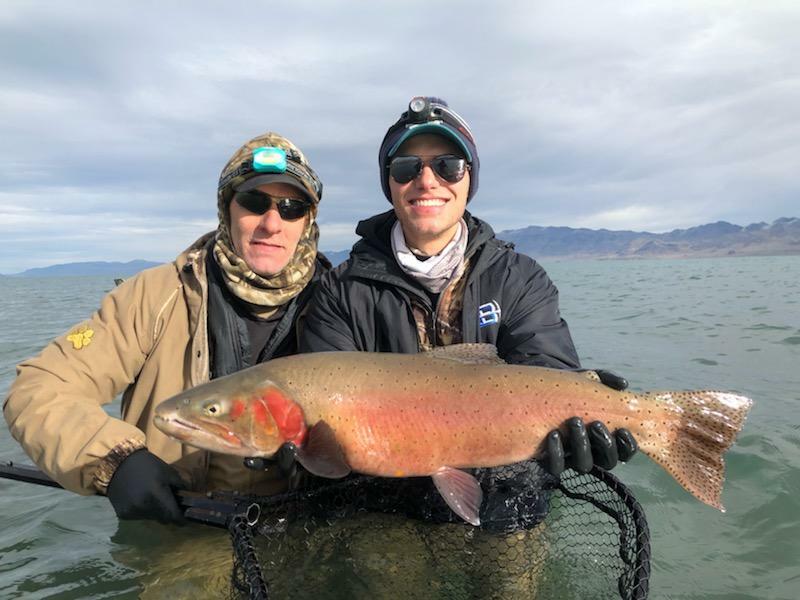 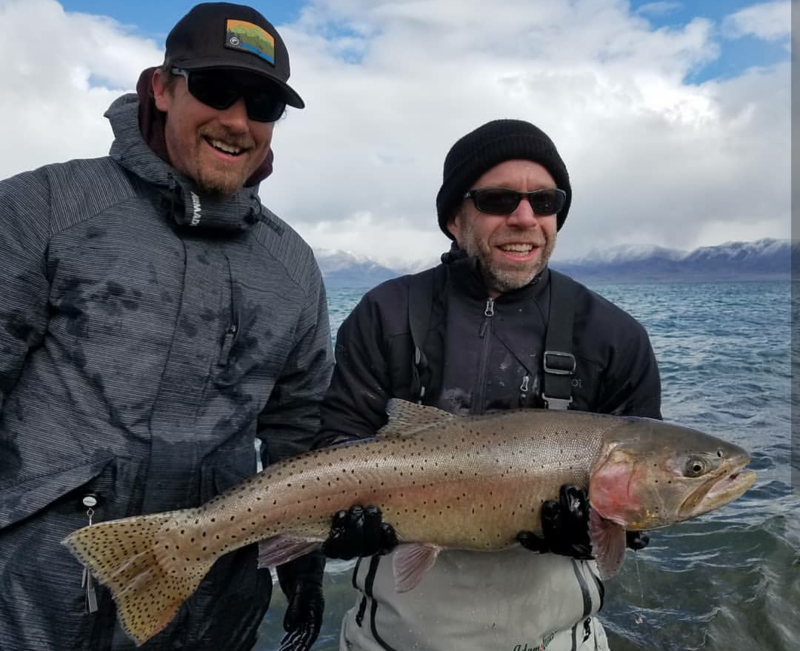 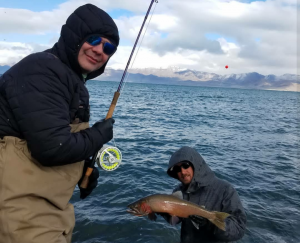 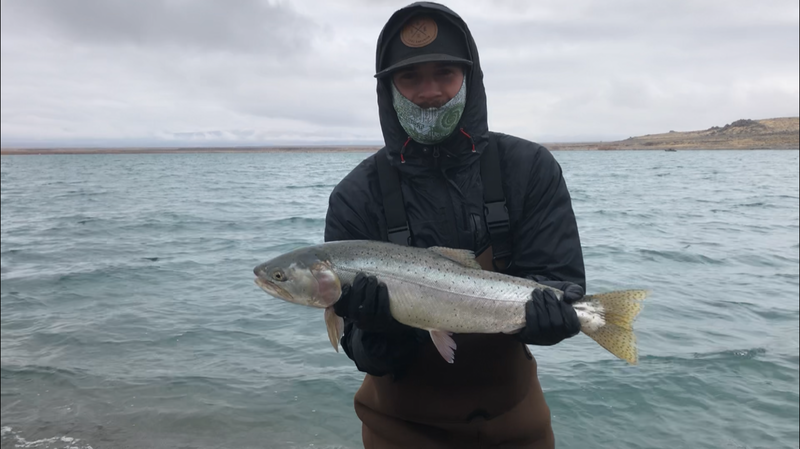 Fishery Biologists and the Pyramid Lake Paiute Tribe are doing a great job of tracking the fish to watch their location and behavior. 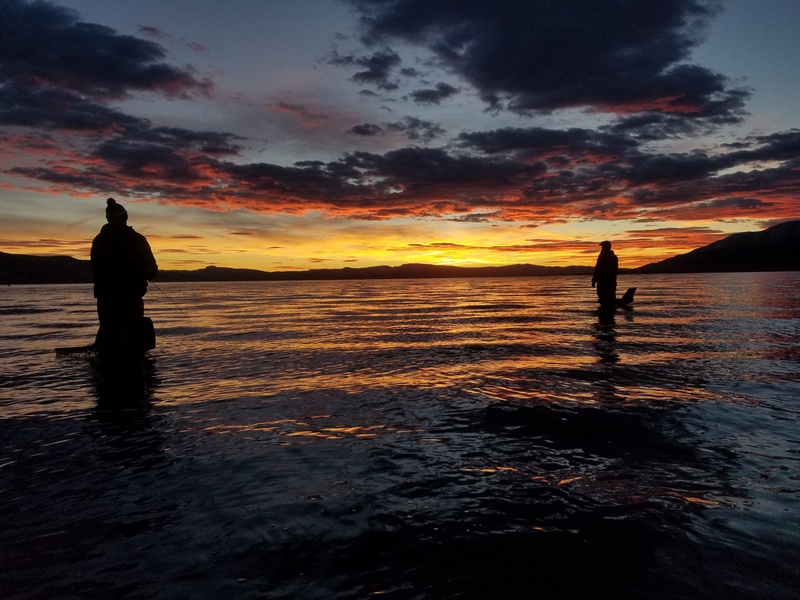 We are very grateful to be a part of this amazing community, to learn of the native people, and for the opportunity to fish on this beautiful and unique fishery. 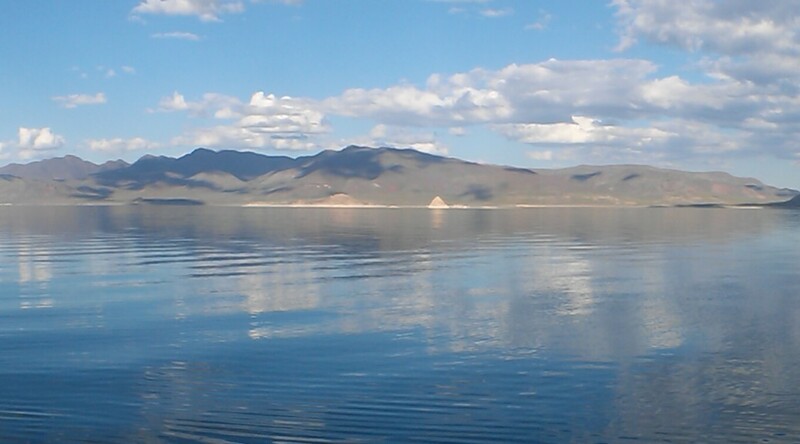 Thank you Pyramid Lake Paiute Tribe! 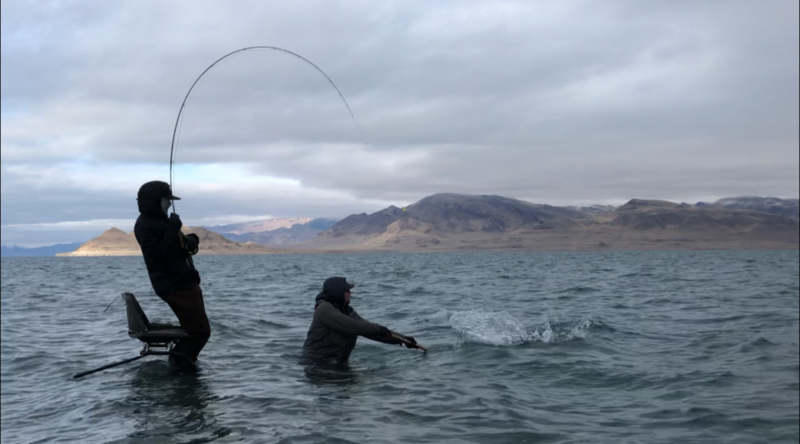 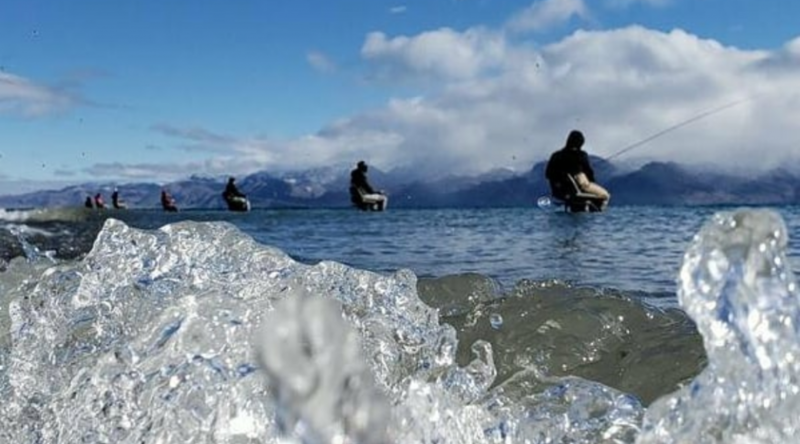 This week brought some very nice weather on Pyramid Lake. 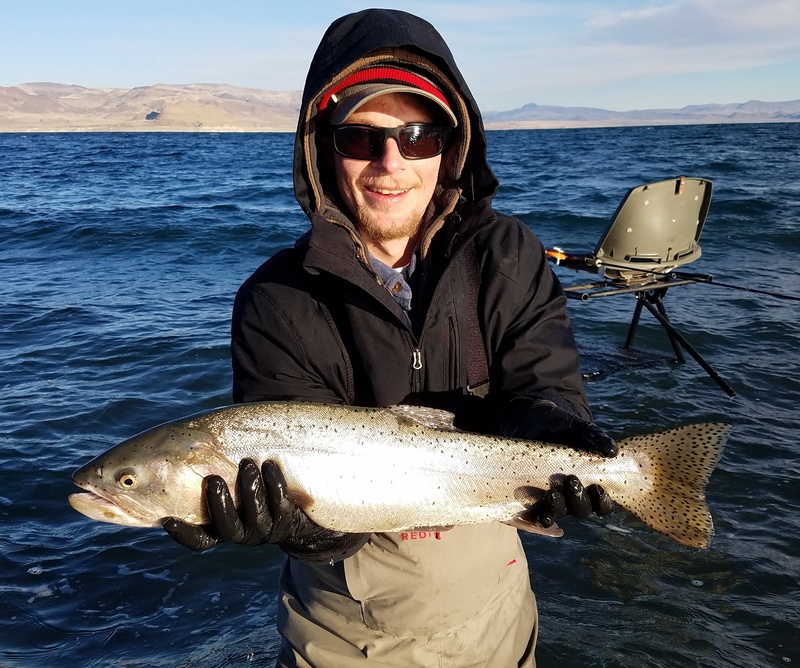 We had a few days around 80 degrees, with water temps being reported at around 60. Such nice weather typically hinders the fishing on the alkaline lake, but if you put in the time expect to land a few. 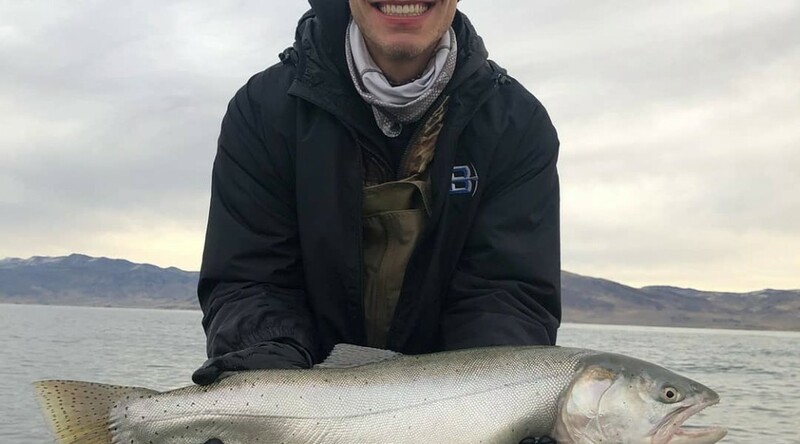 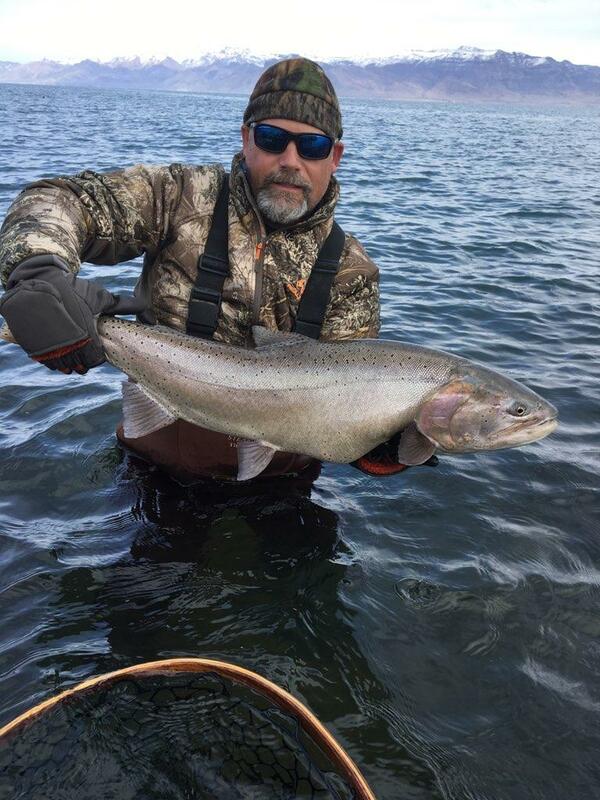 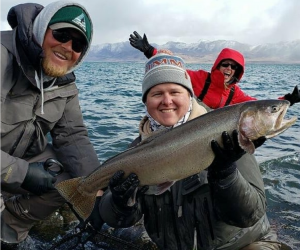 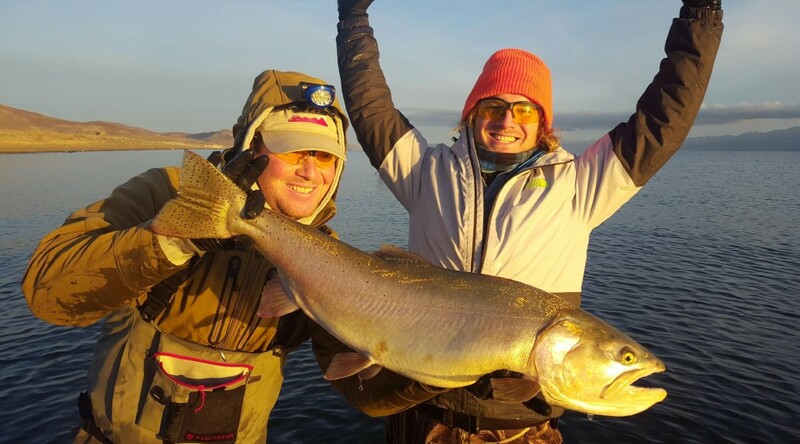 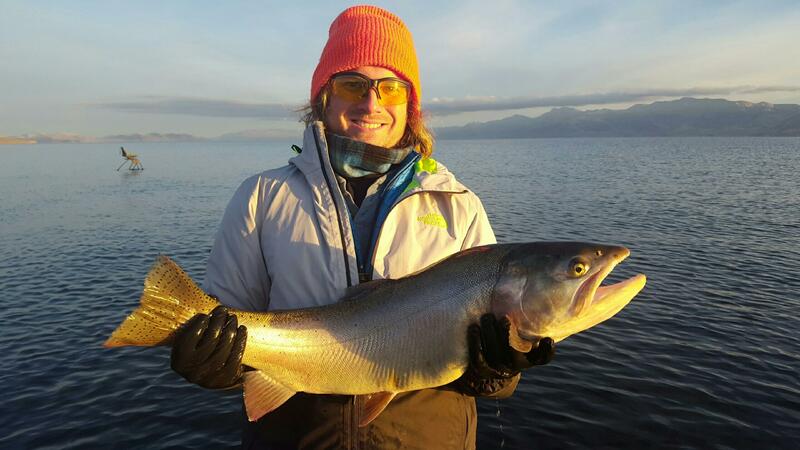 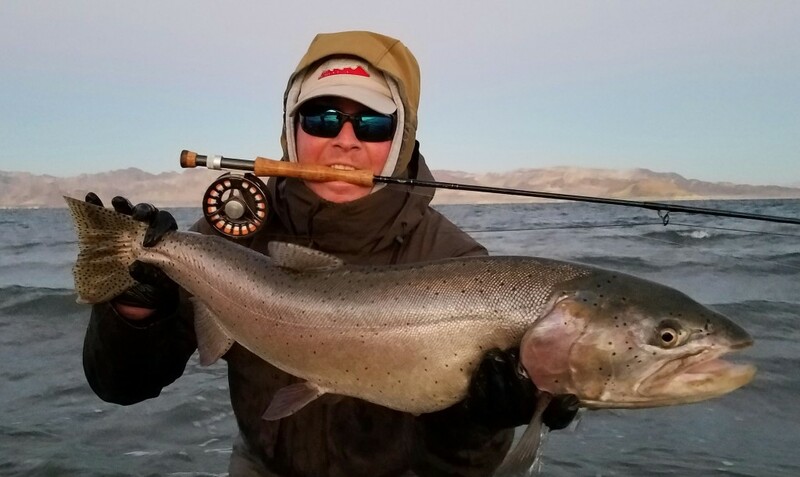 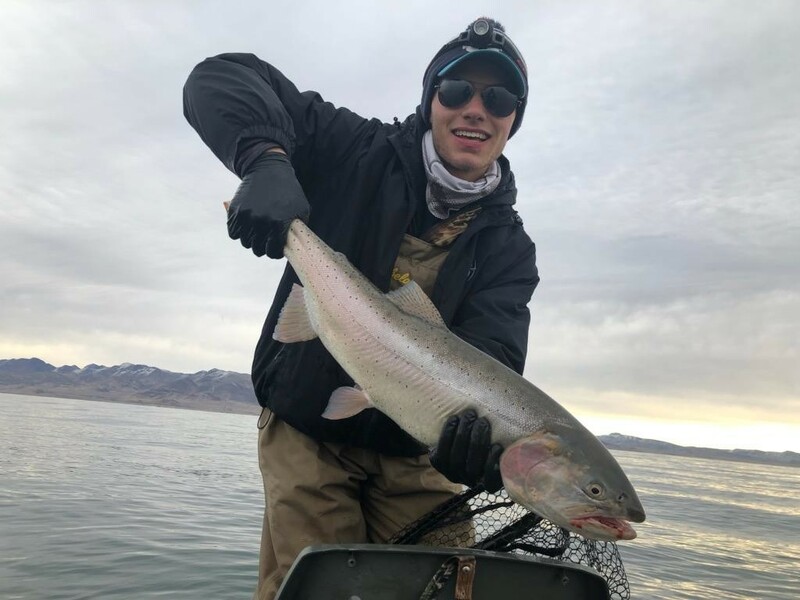 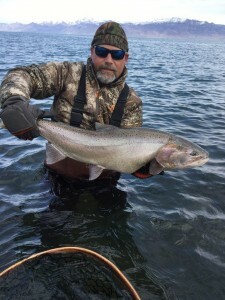 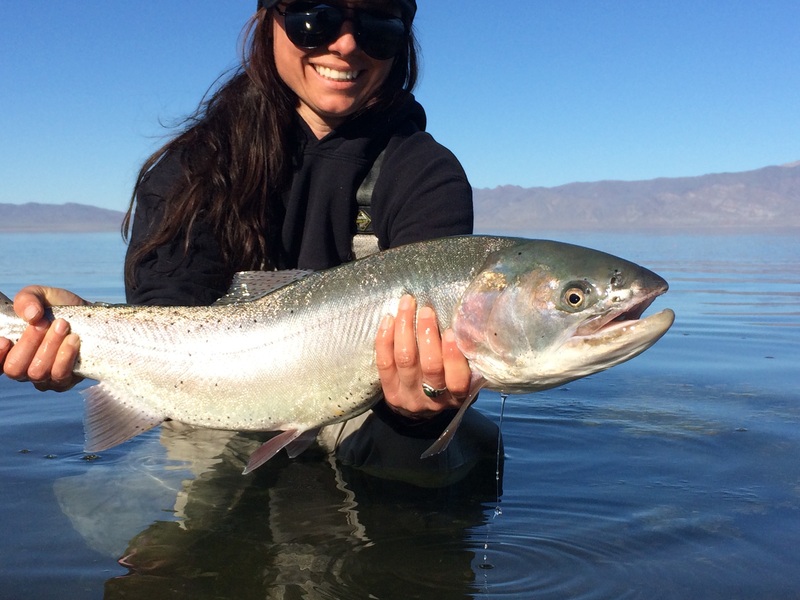 Devoted angler Tawni Capurro landed several fish over the week including this nice chromed out Pilot Peak. Lookin’ good Tawni- you go girl!